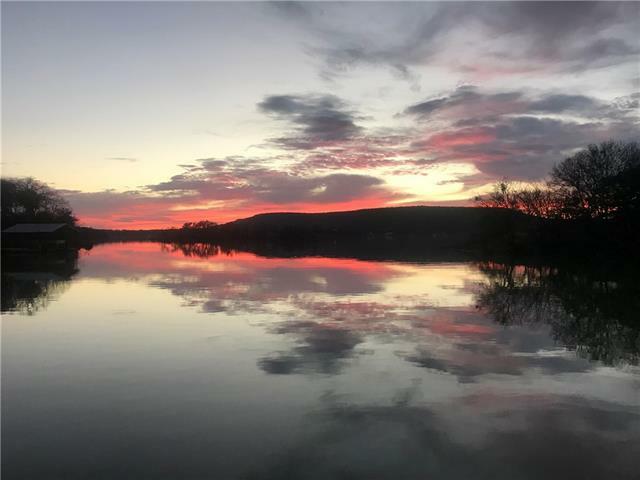 All Palo Pinto homes currently listed for sale in Palo Pinto as of 04/21/2019 are shown below. You can change the search criteria at any time by pressing the 'Change Search' button below. If you have any questions or you would like more information about any Palo Pinto homes for sale or other Palo Pinto real estate, please contact us and one of our knowledgeable Palo Pinto REALTORS® would be pleased to assist you. 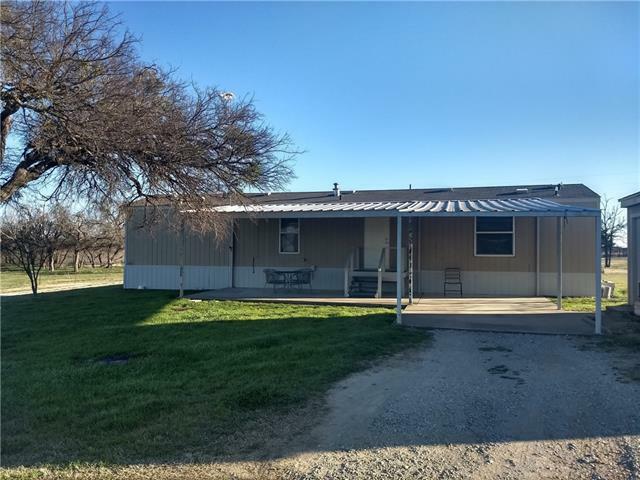 "Unique ranch property a short drive from Palo Pinto Lake and a quick hour drive to Will Rogers. Property includes 13.58 fenced acres, with a beautiful main home that features an office space and a safe room storm room. Invite your guests to stay in your additional 720sf 1 bedroom comfortable bunkhouse, surrounded on 3 sides by a generous covered porch, while your guest horse enjoys your 2 stall 3,750sf barn with air conditioned tack room. 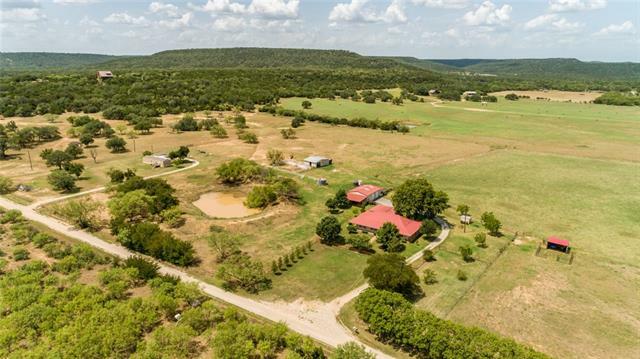 Your roaming livestock can enjoy the stock tank near the"
"Escape from the cold steel and hot pavement of the metroplex, the beautiful property is less than an hour from Fort Worth with spectacular 360 degree views of the Palo Pinto Mountains. 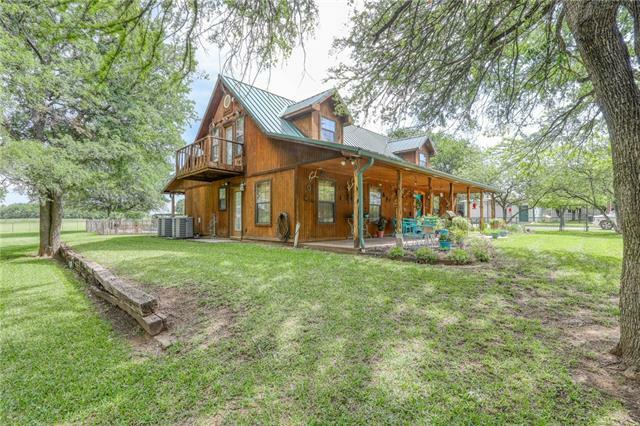 This 17+ acre property includes 2 barns with horse stalls, a 30x40 workshop, and guest quarters or an office suite; plenty of covered parking; 2 water wells; and a stock pond, all barely an hour from Fort Worth! The house features custom Oak cabinets, granite counter tops, wood floors, separate bedrooms and a full"
"10+- acres and custom home. 3 bedroom 3 bath with custom rustic finishes throughout. Designed with relaxing and entertainment in mind, huge full porches, stone patios, fire pit, diving pool and spa surrounded in tasteful landscaping. 3 large shops for storing your vehicles and equipment. Concrete and electric inside the workshop. Numerous outbuildings from a greenhouse to a fish cleaning station being situated just minutes from Lake Palo Pinto. Pride in ownership best describes this unique prope"
"PRICED REDUCED! MOTIVATED SELLER! Perfect Weekend Getaway On Beautiful Lake Palo Pinto! Enjoy living here full time or as a weekend recreational property. Nice 3 BR 2 Bath - 2,096 sf home on 1.586 treed acres. Balcony wraps around back of house for great views. Fireplace with Pellet Stove. Floating covered dock in quiet secluded cove in deep water! 240 of waterfront! Asphalt driveway. Large 30' x 40' Shop with Electricity. Three Additional Storage Buildings. Metal Fence. 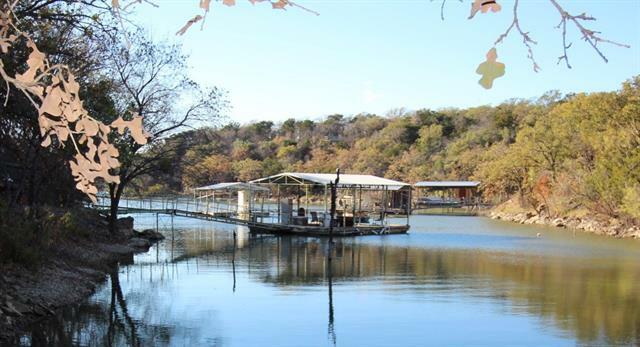 Solar powered en"
"Waterfront home on Palo Pinto Lake with aluminum dock that includes swim deck and 6,000 pound hydrahoist boat lift. Beautiful completely remodeled home, new roof, new plumbing, all new kitchen cabinets and countertops. A must see. Home has new granite counter tops, new waterproof laminate flooring throughout. Home comes with new refrigerator, new flat top drop in range, new dishwasher and new washer and dryer. 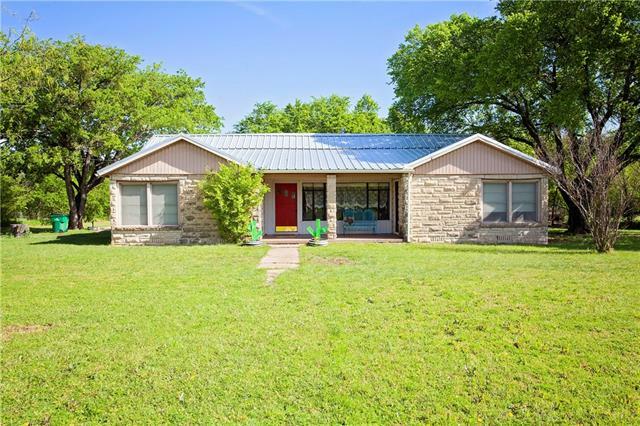 Property can also be sold with listing located at 1540 N. Lakeview Dr. MLS 13974458 (p"
"Super cute recently remodeled home on Lake Palo Pinto with beautiful views. 2 or 3 bedroom 1 bathroom. New roof placed this year! Private swim dock with boat mooring whips. Great place for weekend getaways or full time residence. Must see to appreciate. Owner is listing agent." "Charming 1950s era home nestled on 2.733 acres within walking distance of Courthouse. This 3 Bedroom 2 bath home features original hardwood floors, oversized bedrooms, and a large dining area for entertaining. New class 4 Metal Roof, New Gas Lines, New HVAC all within last 2 years. Outside features a wood deck, beautiful lush green grass, mature trees, and raised garden bed. Several outbuildings to be used for storage or entertaining guests. Endless possibilities with this one!" 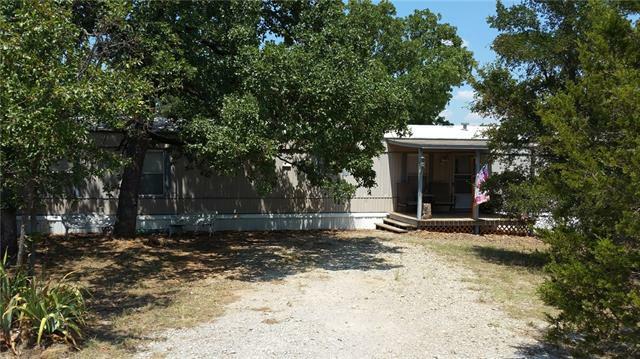 "Nice single wide on 1+ acres near lake Palo Pinto. Water Well, Septic, Storage building all await you. 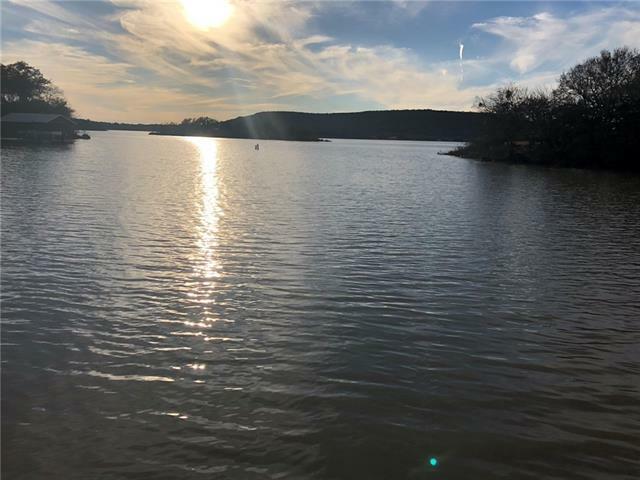 Easy access to I-20 and Lake Palo Pinto for recreation. Come get your little slice of heaven with this wonderful property." "Beautifully updated single wide mobile home on 1.270 ac. Located just minutes away from the boat ramp. Bring your boat and enjoy all this beautiful lake has to offer. Home has 3 bedrooms, 2 baths, plastered walls, new flooring, new countertops, nice screened end porch, well, and storage building."